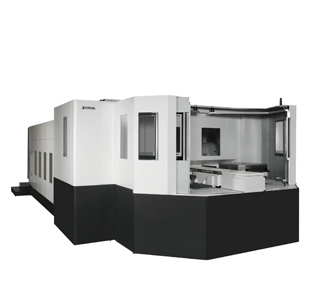 The latest and largest of the Okuma MU range of 5-axis machining centers, this horizontal high speed machine has a 1-meter-square pallet with capabilities of high torque and high speed to meet a variety of machining requirements. The machine is designed for the most difficult of applications with Okuma’s high standard of design stability and accuracy, providing the user with a long lasting, efficient production platform. Looking to Purchase a New OKUMA MU-10000H? Looking for a USED MU-10000H?Have one to sell?